KALAMAZOO, Mich., Apr. 18, 2019 – Create shared, live musical experiences with your Kalamazoo Symphony Orchestra during our exciting 2019-20 concert season. Performances will encompass a diverse range of music from the baroque to music of the present day and expand Kalamazoo community connections with the symphony. The orchestra’s 99th concert season is the first fully designed by the KSO’s new Music Director, Julian Kuerti. KALAMAZOO, Mich., Mar. 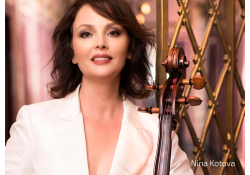 7, 2019 – The Kalamazoo Symphony Orchestra’s exploration of fifth symphonies continues Saturday, March 9, with “Symphony No. 5 in C-sharp minor,” by Gustav Mahler. 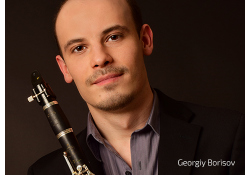 The concert opens with the “Clarinet Concerto ‘Nekudim,’” by modern American composer Jonathan Leshnoff (JonathanLeshnoff.com), featuring KSO Principal Clarinet and Artist in Residence, Georgiy Borisov, as soloist. 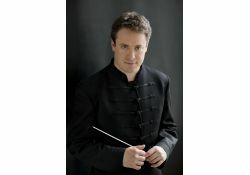 KSO Music Director, Julian Kuerti, will conduct the orchestra. You know him from David Letterman's show! 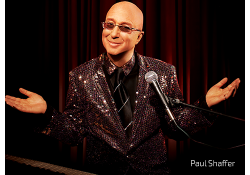 Join Letterman sidekick and musical director, Paul Shaffer, for his world-premiere concert with the KSO. Shaffer will share symphonic renditions of his favorite pop, R&B, and jazz tunes, taking you on a fascinating journey with his stories, reminiscences, and anecdotes. Your Kalamazoo Symphony Orchestra explores the music of Hollywood and Vienna during its second Symphonic Series concert on October 27 at Chenery Auditorium in Kalamazoo. Guest artist Pablo Sáinz Villegas, known as the "Soul of the Spanish Guitar," joins the orchestra for this intimate program. 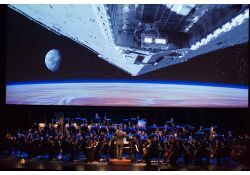 KALAMAZOO, Mich., Oct. 10, 2018 – The Kalamazoo Symphony Orchestra will present “Star Wars: The Empire Strikes Back,” on October 11 and 12, with Oscar-winning composer John Williams’ musical scores performed live to the full-length feature film. Attendees are encouraged to dress in Star Wars attire and to arrive early. Local Star Wars groups and costuming organizations will be available for photos and conversation beginning at 7 p.m. The concert begins at 8 p.m. at Miller Auditorium. 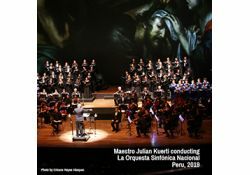 KALAMAZOO, Mich., Sept. 10, 2018 – The Kalamazoo Symphony Orchestra (KSO) launches its 2018-19 season when its newly installed music director, Julian Kuerti, leads Van Cliburn Competition-winning pianist Di Wu and the KSO on groundbreaking French and French-inspired music by Frédéric Devreese, Maurice Ravel, and Hector Berlioz on Friday, September 14, at 8 p.m., at Miller Auditorium in Kalamazoo. 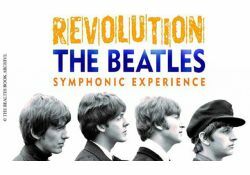 KALAMAZOO, Mich., Sept. 4, 2018 – Schirmer Theatrical, LLC, and Greenberg Artists are proud to present the world premiere of “Revolution: The Beatles Symphonic Experience,” with the Kalamazoo Symphony Orchestra (KSO) on Dec. 1, at Miller Auditorium in Kalamazoo. “Revolution” is the first authorized, symphonic experience for The Beatles, featuring never-before-seen photos from the official Beatles Book Photo Library in London, alongside stunning new video and animation created by award-winning creative video designer Charles Yurick. KALAMAZOO, MI– June 27, 2018 - The Kalamazoo Symphony Orchestra Board of Directors and President & CEO, Peter H. Gistelinck, are pleased to announce that internationally renowned conductor Julian Kuerti has been appointed as its new Music Director. Mr. Kuerti will assume the title of Music Director beginning with the 2018-2019 season, succeeding Raymond Harvey, who ended his eighteen-year tenure with the orchestra in 2017, and has since then become the Orchestra's first Music Director Emeritus.